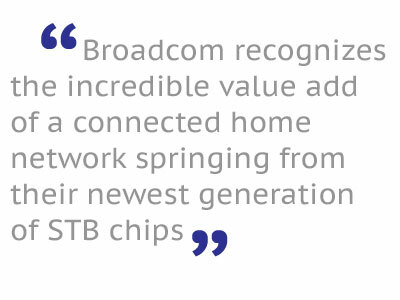 Smartenit, Inc., a leading home/building automation and Internet of Things (IoT) ecosystem provider, today announced a collaboration agreement with Broadcom Corporation to integrate Smartenit’s home automation technology, based on Wi-Fi, ZigBee, and INSTEON, with Broadcom’s BCM7445 home gateway system-on-chip (SoC). Broadcom selected Smartenit based on the company’s experience with home and building automation protocols, efficient integration of flexible software and applications on advanced platforms and portfolio of wireless solutions encompassing sensors, controllers and cloud services. According to industry analyst firm Infonetics, operators are looking to home automation services — particularly home security and home energy management — as a means to increase incremental revenue and customer loyalty1. Smartenit, Inc. is dedicated to delivering automation solutions that continually expand the Internet of Things. These solutions have applications in many areas including energy management, water management, monitoring, comfort, and lighting, in the modern home and beyond. Smartenit’s cost-effective, and easy-to-use products are part of an ever-expanding system that allows easy monitoring and management of any connected device from anywhere. For more information, visithttps://smartenit.com. Find Smartenit on Facebook and follow us on Twitter @smartenit.